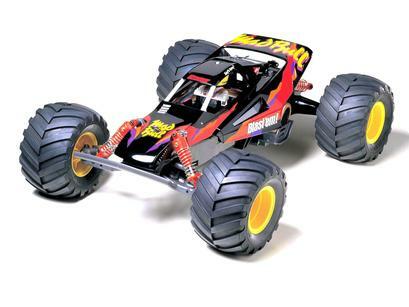 This radio control assembly kit replicates the fictitious Mad Bull big tire all-terrain buggy. 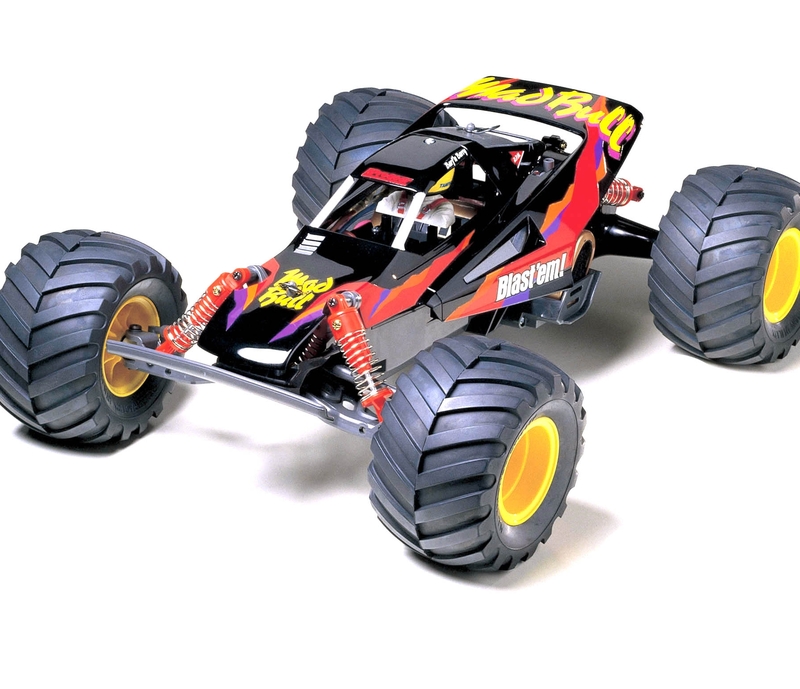 It used chunky lug pattern tires and it is mated to a simple but reliable chassis. The kit includes long travel coil spring shock units and are factory assembled. The 115mm diameter tires are factory fitted to the wheels to make the assembly process a little quicker.